Winston Reid is our longest serving player after Mark Noble. Our sometimes club vice-captain, he’s been with us nearly nine years and has been a stalwart of consistency and of quality. So why is he not a mini-legend in fans’ eyes? Could it be that his long term injuries over the past few years have caused frustration for hammers fans (a la Andy Carroll), or that he’s just not a big character, so doesn’t quite inspire the warmth and fondness that somebody like Carlton Cole does? 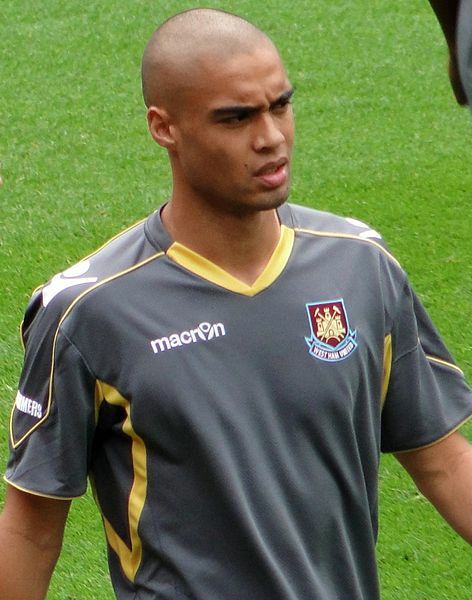 Whenever Winston Reid is spoken about, those who consider Reid to be somewhat of a hero say ‘he’s been a fantastic servant of the club’ – and he has. For many years he’s been one of our best players. They then, however, seem to fold their arms, shake their heads, and state ‘people have short memories’ – which is what is a little frustrating. It’s not the injuries, and Reid isn’t a bad bloke -but what stops people from loving Winston Reid as much as some other players is that it seems like he’s never been that committed to the Hammers, despite playing there for a good chunk of his career. Players refuse to sign contracts for many reasons but it appears here that it wasn’t about the money. We also have to take into consideration that the contract offer made was big, but is even bigger in 2015 when you consider that this was just before the fees started skyrocketing with the TV deals. The same article also says “If he was sold this summer he could raise around £6m,” which, whilst a paltry sum by today’s valuations, was pretty standard for a half decent player with a year left on his deal four years ago. Fast forward six months to the 6th of January 2015, the transfer window having just opened, and Reid is no closer to having signed a new deal. Far from it. Then West Ham Manager Sam Allardyce tells the BBC that it’s ‘highly unlikely’ that Reid will sign a new deal. He also alludes to the possibility of Reid being tapped up. Big Sam also says that Reid had rejected ‘millions’ of offers from West Ham, which suggest that Reid wasn’t staying at this point. In Reid’s defence, conversely, Sam did say that he wouldn’t sell him during the window because it didn’t ‘look like he is playing with his mind somewhere else’ and if he was ‘not going to sign a contract here, I would find it highly unlikely if it [an agreement with another club] is not already verbally done’. With the beauty of hindsight, we know that there wasn’t anything verbally agreed (or if there was, that it eventually fell apart) because he did subsequently sign a new deal. This can be seen as a weird topic to bring up, because Reid has been a cracking player for us over the years – we’ve seen him hailed as a ‘World Cup Goal scorer’ (true) by David Sullivan before it was revealed that we were signing a defender (the type of spin we saw from Sullivan in the past), with him being a young and ineffectual right back under Avram Grant, who then turned into a cool headed, technically gifted centre half by Sam Allardyce. We’ve seen his development into a very good player and that’s in no small part due to the club. Not to mention him scoring the last goal at Upton Park, handing us the win in an absolute thriller of a game. The contract situation in 2014/15 was telling. In the cold light of day, it took him over nine months to sign the deal. This heavily suggests that he was actively looking for a big move away from West Ham United. To add insult to injury, Claret and Hugh reported that when he did eventually sign a new deal that it ‘was thought to be worth £55,000 per week plus add ons which could take his weekly pay package as high as £60,000 per week’. Which suggests that West Ham didn’t pull it out the bag by upping the contract offer but Reid, after seeing that other offers for his services weren’t forthcoming, settled by staying with us. But wait, there’s more. He two years later signed a deal in 2017. This was supposedly because Jose Fonte had joined and he wanted parity with his deal. This is fair enough. The Sun, however, reported that a club source had said ‘We want to increase his buyout clause as well, there will be no risks taken to lose him cheap’, with the paper going onto say that ‘the release clause will be increased from £15m to £20m’. This seems like a player who is not unhappy as such but wouldn’t turn down the chance of something else. He’d stay, on the proviso that the club wouldn’t kick up a fuss if offers came in. One can’t help feel that his long serving stint at West Ham has been because of circumstance rather than design. He’s always kept the door open for more. Fans like Winston Reid. He’s clearly a good influence in the dressing room and has been a great player for us over the years, providing grit and determination in what feels like countless relegation battles. Does he bleed claret and blue though? Its hard to be sure. Yes, overall, he’s been great for us. To say that he’s been a bit of a club legend, though? Sorry, but much like his heart wasn’t always with us, the fan’s hearts just aren’t beating for him in that way.